The Unitarian Laymen’s League was established on April 11, 1919 to provide fellowship to men and support Unitarianism. 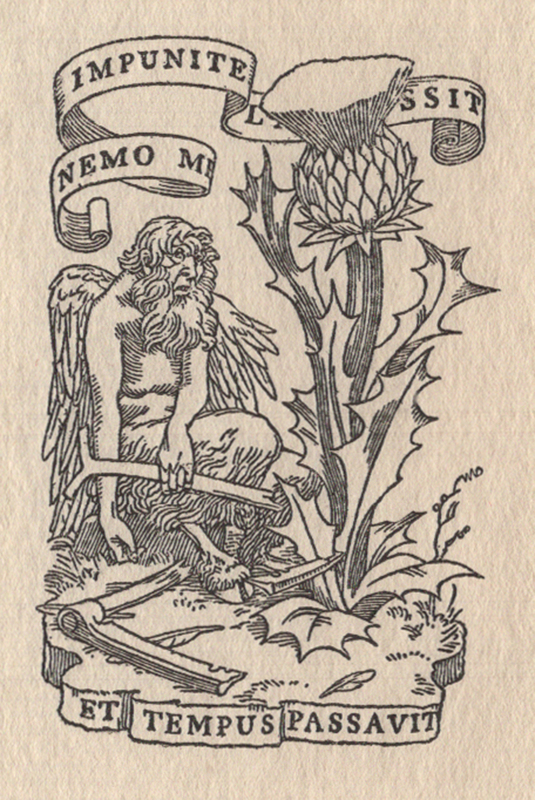 Within a year the League’s publications began to sport a seal by W.A. Dwiggins. He had been hired by a former client, the Rev. Charles E. Park (1873–1962), minister at First Church in Boston and one of the leading figures in the new organization. 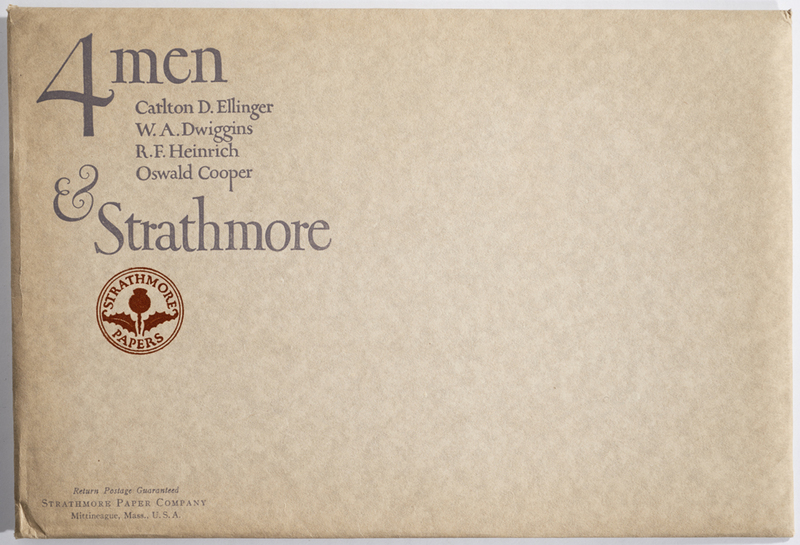 The connection between the two men went back fifteen years to Dwiggins’ arrival in Hingham, Massachusetts. In 1918 Carl Purington Rollins (1880–1960) sold the equipment of his Montague Press to Yale University and became the manager of the manufacturing department of the Yale University Press and the university’s printing office. Two years later he was appointed Printer to Yale University, a position he held until 1948. 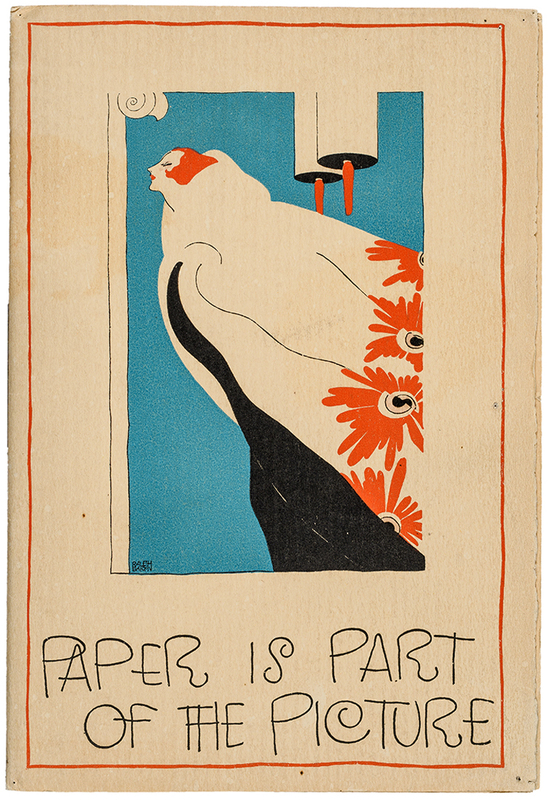 Rollins was responsible for overseeing the production of all of the printed ephemera (e.g. invitations to events, bookplates for the library, diplomas, etc.) that the university needed. Parody of Bruce Rogers device by W.A. Dwiggins. From Barnacles from Many Bottoms Scraped and Gathered for B.R. edited by Paul Bennett (New York: The Typophiles, 1935). 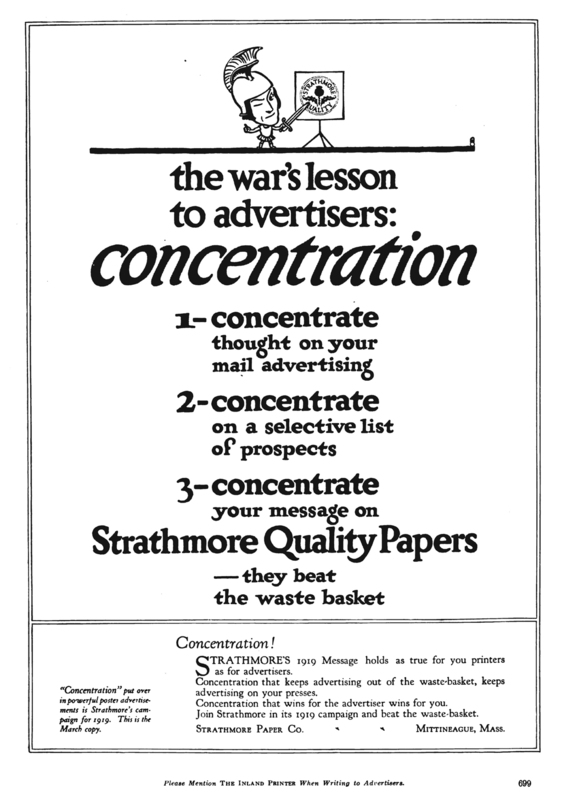 Inside page from Strathmore Town News no. 2 (1925). 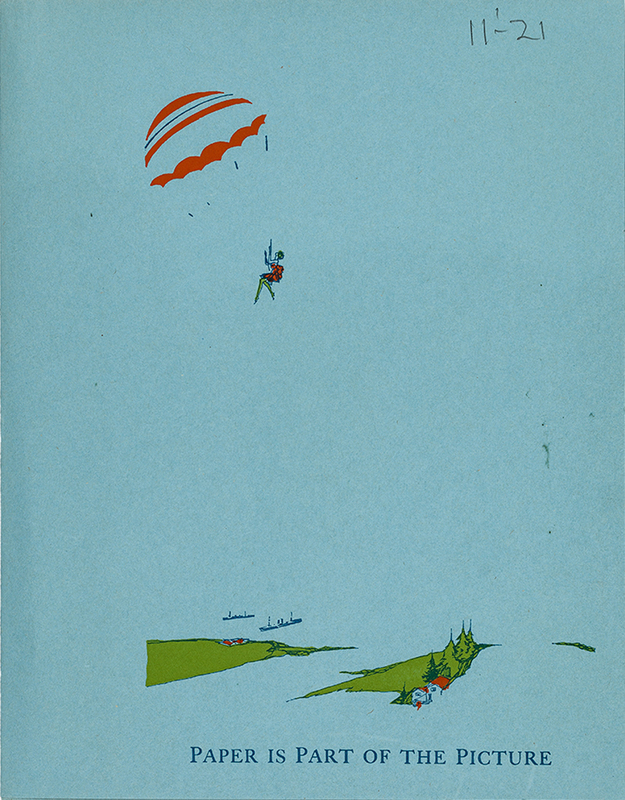 Design by Guido and Lawrence Rosa. 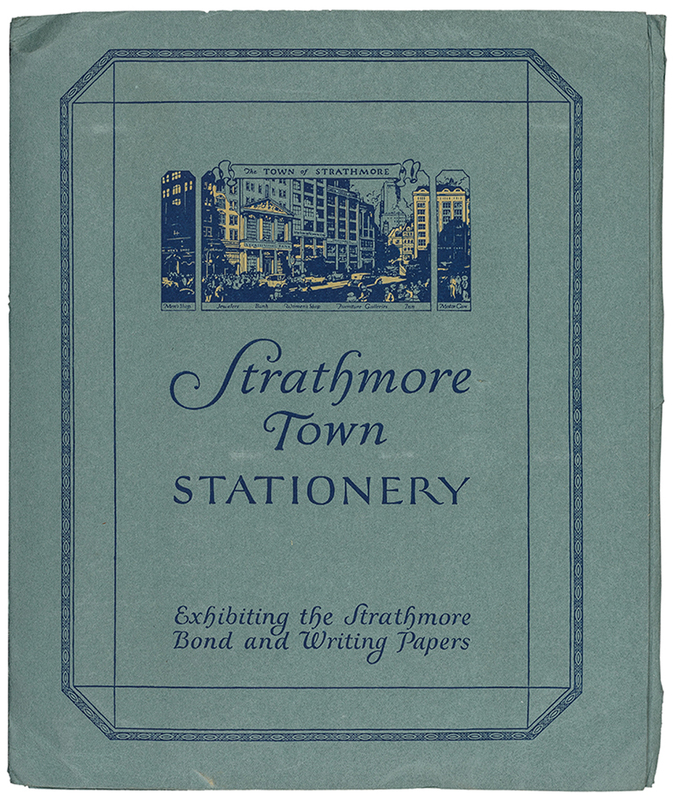 Cover of Strathmore Town Stationery (Strathmore Paper Co., 1923). Design by Guido and Lawrence Rosa. Photograph by Vincent Giordano. 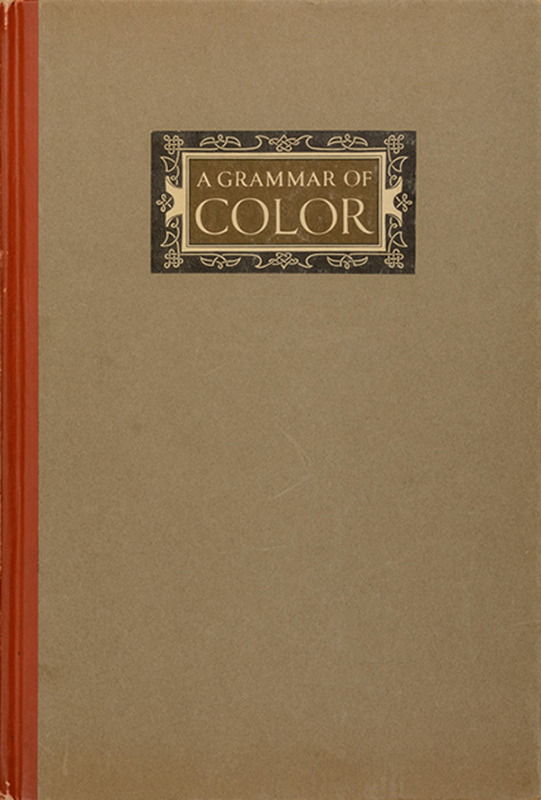 A Grammar of Color by A.H. Munsell (Mittineague, Massachusetts: The Strathmore Paper Company, 1921). 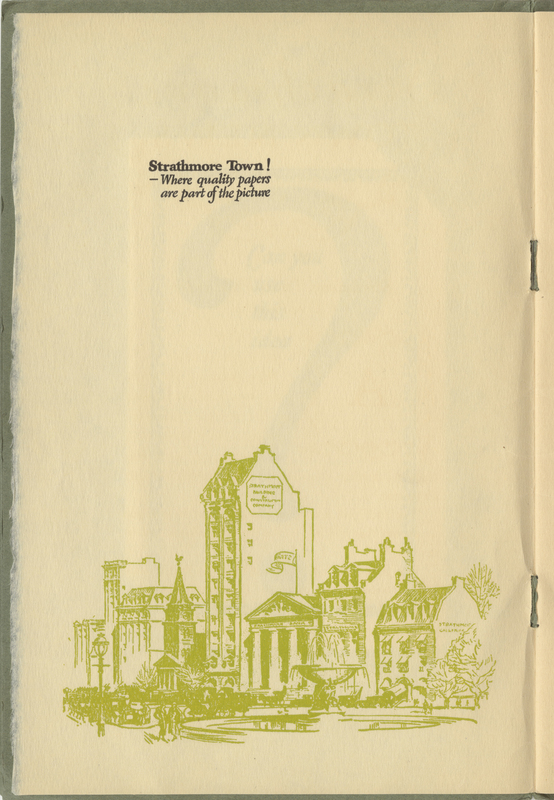 Cover design by T.M. Cleland. Photograph by Vincent Giordano. 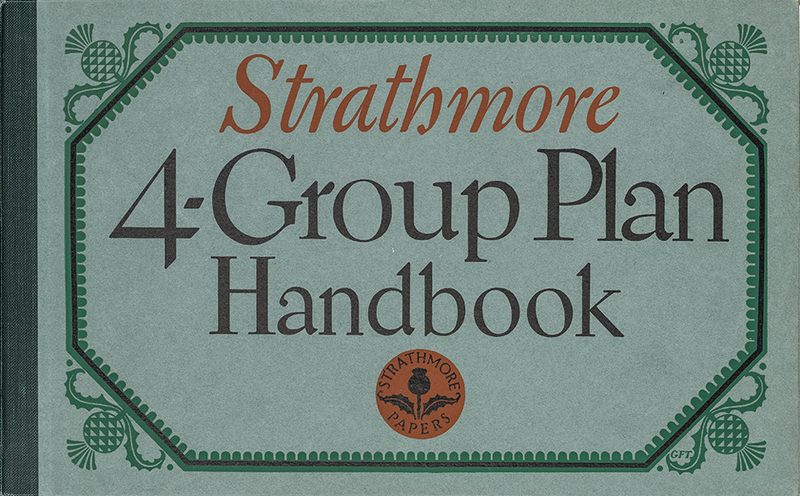 Strathmore 4-Group Plan Handbook (1926). Design by George F. Trenholm. Photograph by Vincent Giordano. 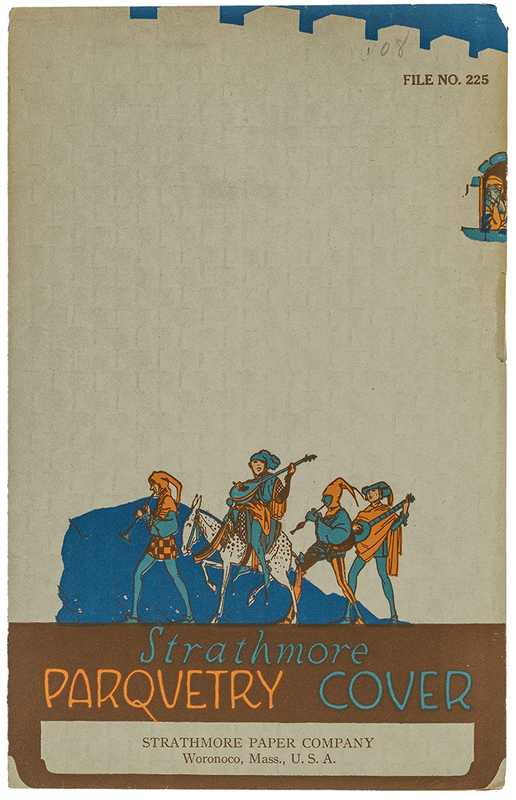 Strathmore Parquetry Cover sample book (Strathmore Paper Co., 1922). Designer unknown. Photograph by Vincent Giordano. 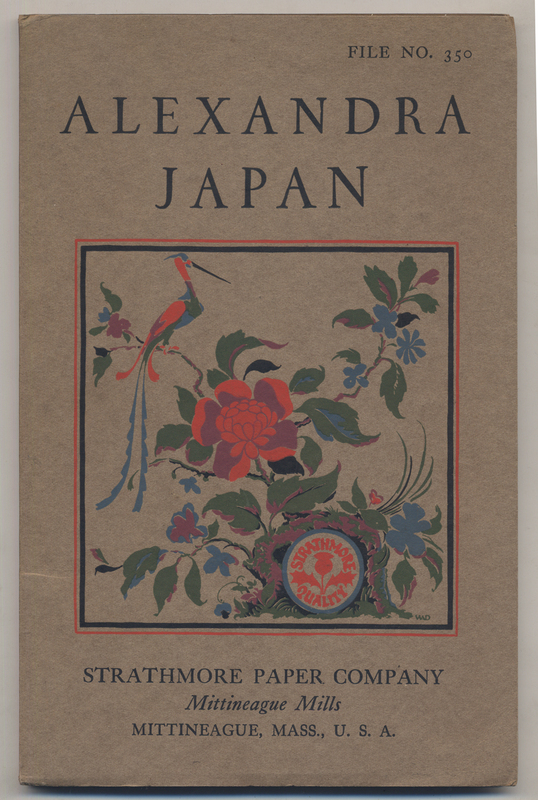 Alexandra Japan sample book (Strathmore Paper Co., 1919). Design by W.A. Dwiggins. 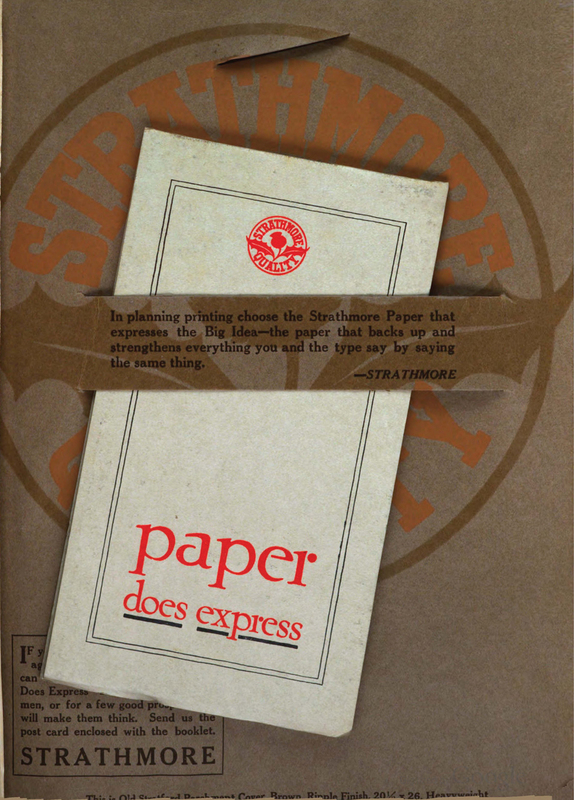 “The war’s lesson to advertisers…” advertisement for Strathmore Quality Papers in The Inland Printer vol. 62, no. 6 (March 1919).